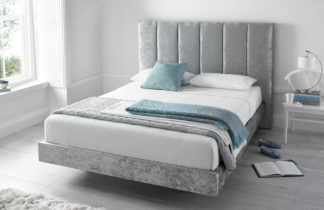 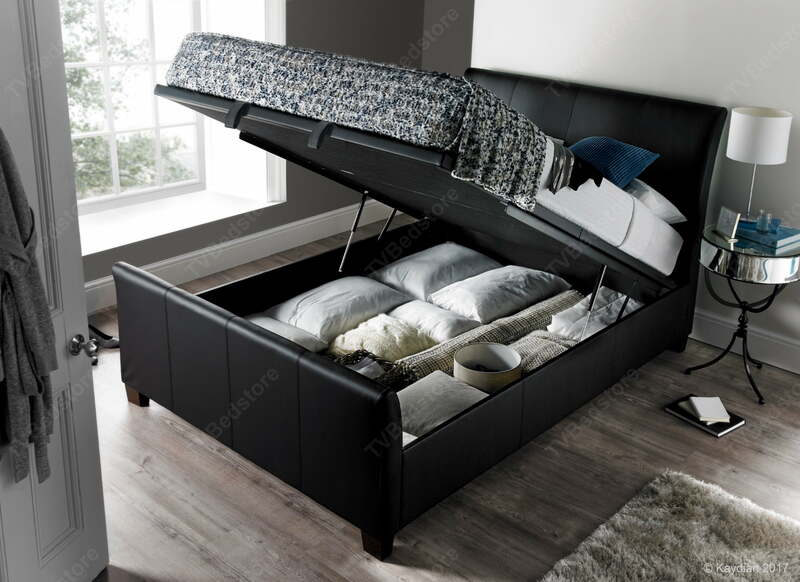 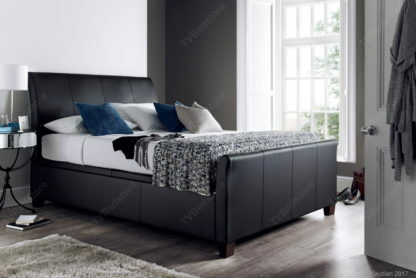 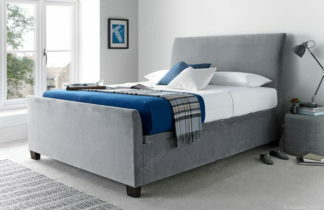 This stylish ottoman storage bed manufactured with the Kaydian lift-up system with spacious floating floor storage area. 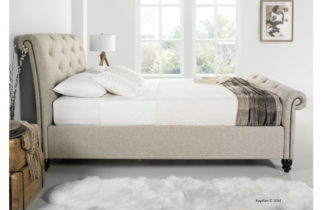 Featuring hardwood feet the Allendale has a platform style ventilated mattress base. 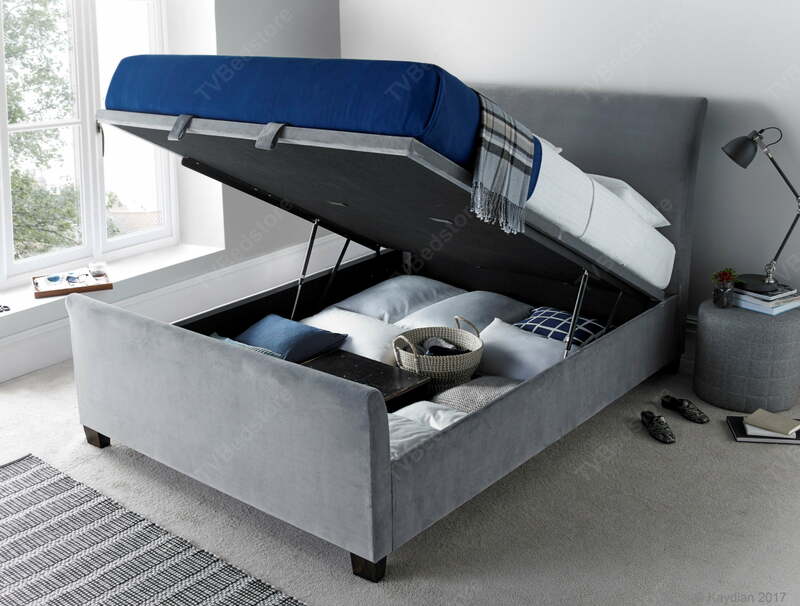 Maximum mattress weight up to 55KG. 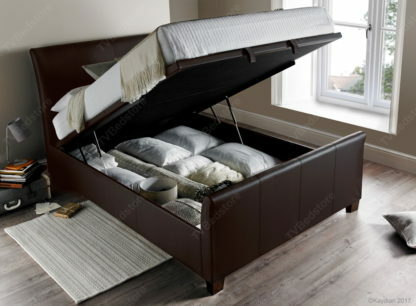 Bed is available is Double, king and super king size. 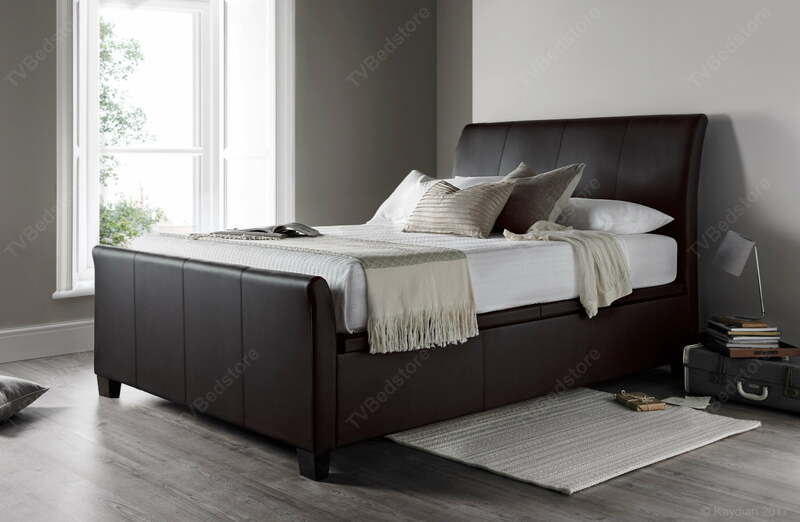 Available in Brown or Black Madras Bonded Leather or Velvet Plume Fabric. 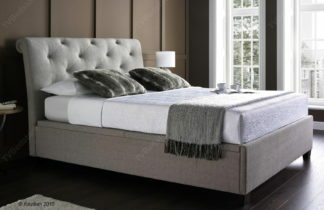 Super King Size dimensions: Length 239cm, width 184cm, height 125cm. 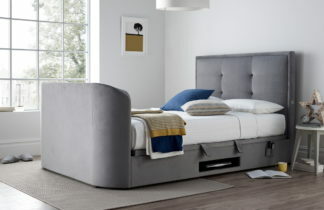 Foot end height 65cm, Leg height 9cm.